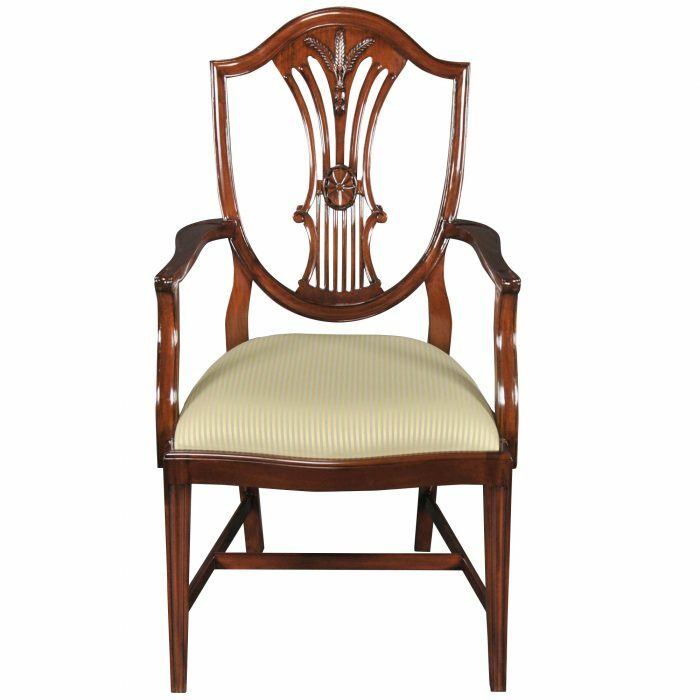 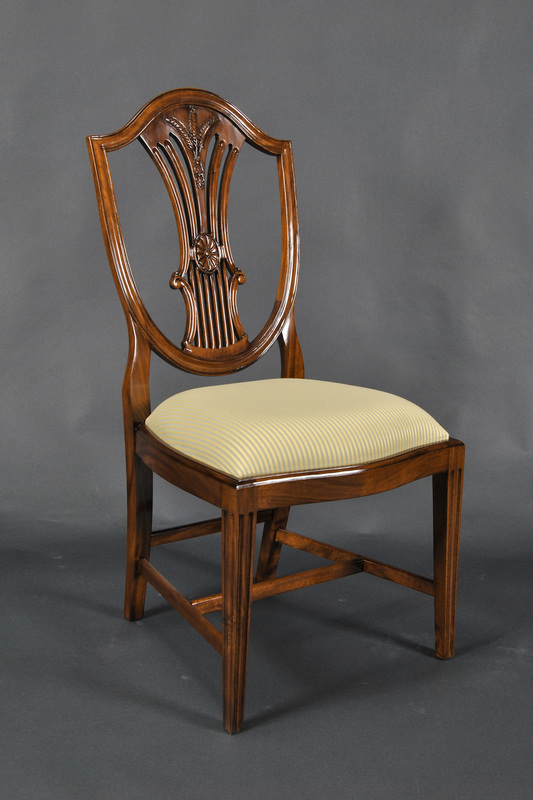 A Shield Back Dining Side Chair from Niagara Furniture, constructed from solid mahogany, this chair is made for the discerning homeowner. 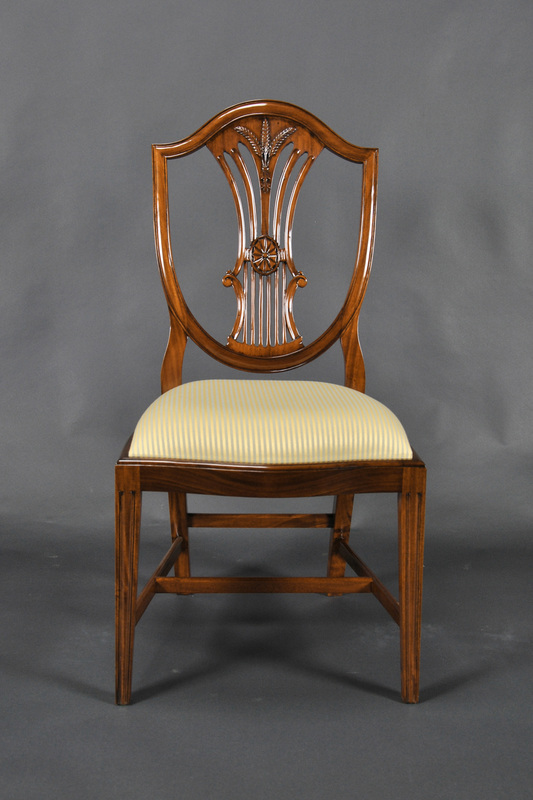 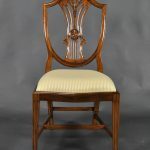 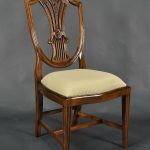 Slightly taller than traditional shield back chairs the extra height given to this chair allows the fine carvings to be seen above the dining table. 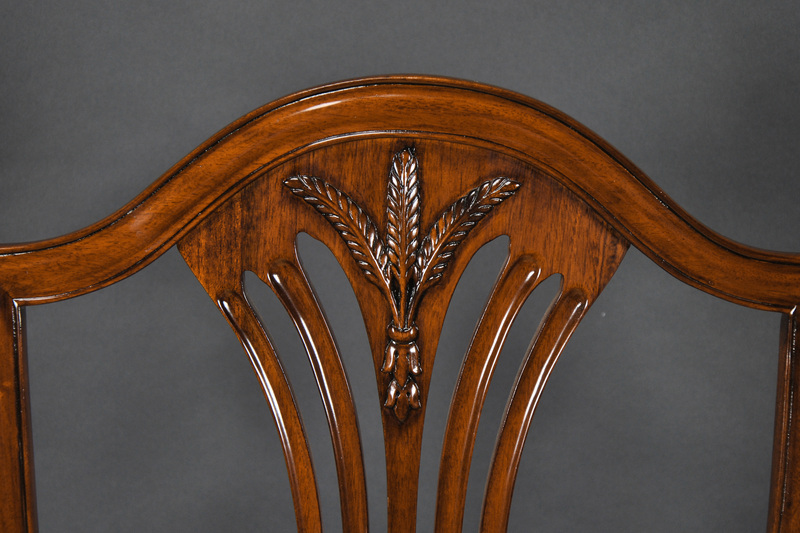 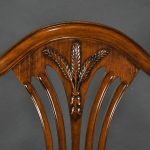 The serpentine crest rail connects to the back splat via a hand carved wheat sheaf motif. 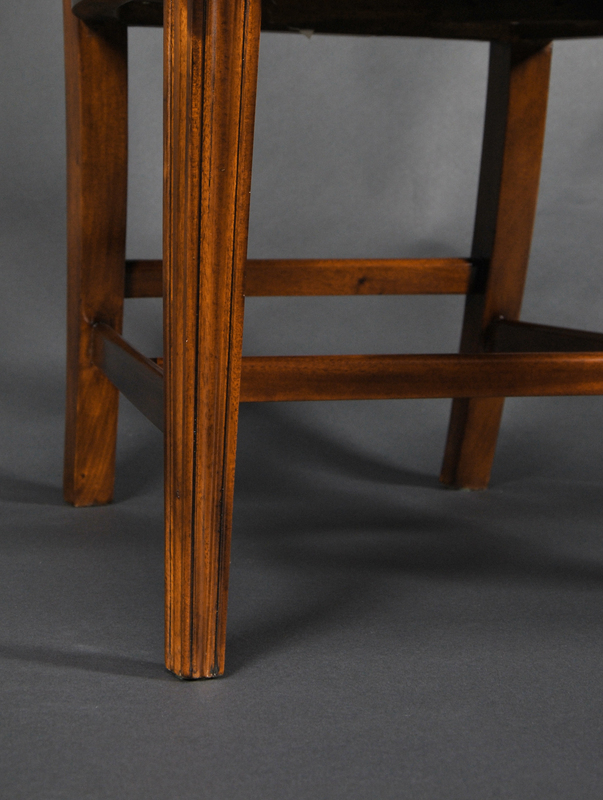 Cross stretchers connect the tapered reeded front legs to the shaped rear legs for extra strength and support and durability. 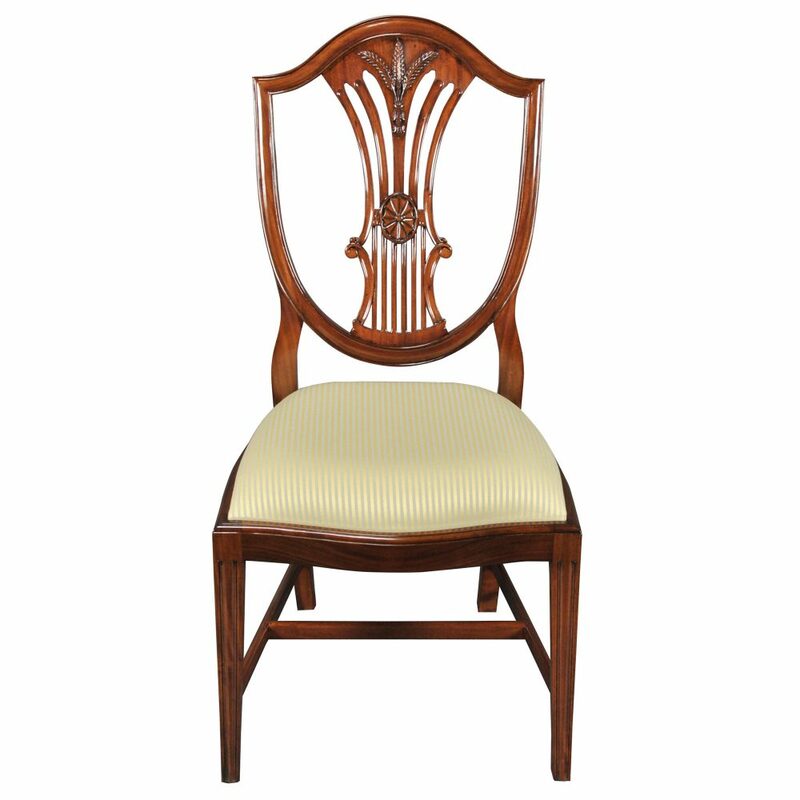 The Shield Back Dining Side Chair ships with our most popular fabric and the easily removed drop in seat cushion provides for easy fabric changes to suit your taste.